What is the NA Function? As a financial analystFinancial Analyst Job DescriptionSee a real Financial Analyst Job Description including all the skills, experience, and education required to be the successful candidate for the job. Perform financial forecasting, reporting, and operational metrics tracking, analyze financial data, create financial models, the NA function can be used to mark empty cells and thus avoid the inclusion of empty cells in the calculation. It can also be used to highlight cells where information is missing. The NA function does not require an argument. 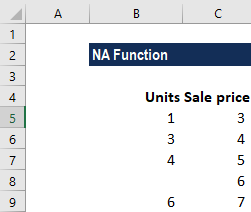 How to use the NA Function in Excel? Now, if the quantity is missing and there isn’t enough data to run the calculation, the formula checks to see if the cell in column B is blank. If it is, it returns the #N/A error using the NA function. If a value exists, the normal calculation would be run. When we are given large datasets, VLOOKUPs can be slow to run. In such scenario, we can use the NA function and two VLOOKUPs to complete things faster. 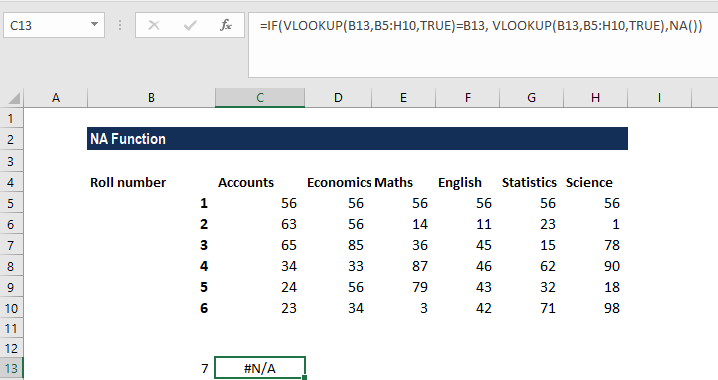 For the formula to work, we need to ensure that the data is sorted by the LOOKUP value. So, the roll numbers in the data above are sorted accordingly. We need to include empty parentheses along with the function name. 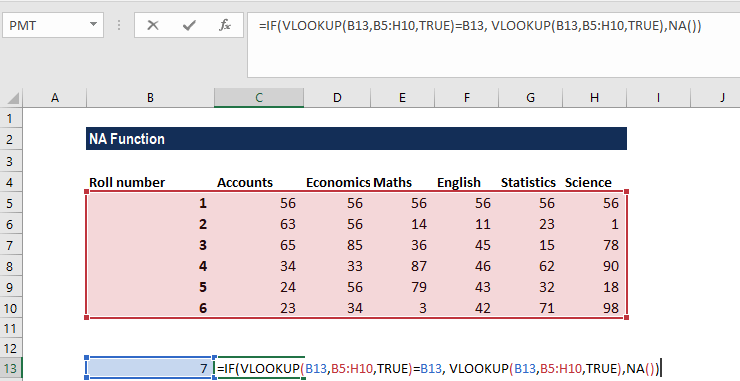 If not included, MS Excel will not recognize it as a function. The NA function was provided for compatibility with other spreadsheet programs. 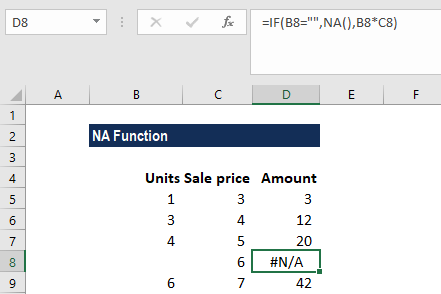 When other formulas refer to cells that contain #N/A, they also return #N/A.